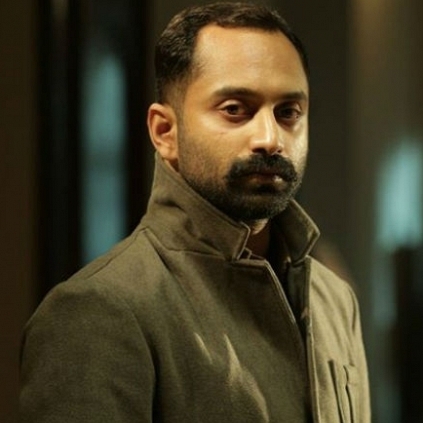 10 FAHADH FAASILS WON'T ADD UP TO 1 VINAYAKAN! Fahadh Faasil's 'Mahesh Bhavana' in the film 'Maheshinte Prathikaram' was the performance that lost out to actor Vinayakan's 'Ganga' from the film 'Kammattippadam' in the 2017 Kerala State Awards for the Best Actor. But there are many people who believe that Fahadh really deserved the award for his flawless performance as Mahesh. When asked about it, the actor spontaneously said that Vinayakan can easily do a Mahesh Bhavana and the film would still be a differently beautiful one, but not even ten Fahadh Faasils added together would be able to portray a multi layered character like 'Ganga'. Vinayakan and Fahadh will be seen together in their next film titled 'Role Model'. Popular scriptwriter jailed for roaming naked and misbehaving with a women! Just In: A leading technician not part of Sangamithra anymore! Yuvan's next release is just 2 days away! Leak or promotional stunt? Fans confused! Rajini and Kamal to come together for this big event! Exclusive: What happened to Kaadhal director? People looking for online information on Fahad Faasil will find this news story useful.